The plain meaning of the text. God’s Word means what it appears to mean, upon the simple reading of the text. This one is often overlooked but shouldn’t be! Patterns and repetition. The Scripture often establishes patterns in the narrative. Sometimes the repetition is enough to draw our attention to the fact that this cannot be coincidence; Scripture is trying to make a point about something. Sometimes, however, the pattern is broken, to draw attention to the break, because God is trying to teach us something important! Paragraph divisions. God’s paragraph divisions, when He has concluded one topic and is ready to go on to the next, are included in Hebrew Bibles, but not in English translations. There are two kinds – a weak division and a strong division. A weak division indicates another facet of the same theme. A strong division indicates a new theme. These paragraph divisions have been preserved through generations by the Hebrew scribes who faithfully copied every letter of Scripture. They were discarded by the English translators. But God has divided His paragraphs the way He has (which admittedly, sometimes do not make sense to human logic) for a reason – He is trying to make a point! He is trying to teach us something! Where the paragraph divisions AREN’T are often just as telling as where they are! Comparison and contrast. Examples are: Cain and Abel, Isaac and Ishmael, Jacob and Esau, Israel and Canaan. The Word and the Spirit. Grace and Law. Faith and Works. The contrast between two things throws a spotlight on each, which is revealing. Original Hebrew. The Old Testament Scriptures were penned (for the most part) in ancient Hebrew, God’s beautiful language. In particular, God gave the Torah to Moses face to face on Mount Sinai – Moses wrote it in Hebrew, every word in its place as dictated by God. As one studies Hebrew, it becomes more and more apparent that not only the themes of Torah were God- inspired, but every word, even every letter, is in the place pre-ordained for it by God. Hebrew is a very pictorial written language, and the characters themselves convey an inspired message, which gives deeper meaning to the translated written message. Investigation into the Hebrew root words in a passage reveals so much that out of necessity translation misses! For example, the Hebrew word for “husband” as in, “For your Maker is your husband,” Isa 54:5, is from the root, bet + ayin + lamed = ba’al. Of course this word has a negative connotation because the Canaanites worshiped an idol they called Baal. But long before there were Canaanites, there were God’s words in Hebrew, and husbands. :) The bet is the picture of the house or family. The ayin is the picture of the eye. The lamed is the picture of the shepherd’s staff. The husband, then, is the one who watches over or shades his house(hold) like a shepherd watches over or shades his flock. As God designed things from the beginning. Isn’t that beautiful? Chiastic structures. The Scriptures, Old and New Testaments, contain chiastic structures from beginning to end. They are one of the thumbprints of God on His Word, that reveal a single divine author from beginning to end (the Holy Spirit), as the beauty, elegance, logic, and symmetry of these things is impossible for a human mind to duplicate in the complexity that they are found in Scripture. A chiastic structure is a narrative that has a central point that is THE key point of the passage, and the Spirit points to that point by having the narrative around it zero in on it like an arrow. The way the narrative zeroes in on the central point is fascinating: Let’s say there are four elements or ideas in a passage that leads up to the central point. Following the central point, the same elements or ideas will be repeated in some way, but in reverse order. There can be any number of elements or ideas. But that they repeat in reverse order around a central point is the key characteristic. I have found complete structures that were one paragraph long, and also five, ten, or twenty chapters long, with smaller structures embedded within them, and also overlapping, without once disturbing the symmetry of the greater and lesser structures around them. I have found structures that emcompass an entire book of the Bible, from beginning to end. The life of Jesus forms a chiastric structure. Well, that would make sense if He is the Word of God made flesh, and the chiastic structure is the main thumbprint of the Holy Spirit on the text of the Word of God. The thing that is amazing is that the central point often isn’t what you might expect it to be, and sometimes, the matching pairs aren’t what you would expect them to be a first glance. But God has a reason for making His central points and His matching pairs as He has. Often He is revealing something beautiful and amazing about Himself, about Messiah, or the gospel of grace through faith. Sometimes He reveals prophetic pictures. At any rate, He is trying to help us understand Him! History that prophesies. The history of Israel, recorded in Torah and the Old Testament history books, is not merely simple history, but it is a history which prophesies of things to come. Most Christians are very aware of one example: Israel’s deliverance from slavery in Egypt, on the night the Passover lambs were slain and their blood was applied to the doorposts of their houses. This history actually happened, but this history also prophesies of our deliverance from slavery in the kingdom of darkness, when the blood of the Passover Lamb, Jesus Christ, is applied to our doorposts. It is history that foretells the gospel. However, this is not an isolated incident, but ALL the history of Israel recorded in Scripture likewise prophesies. Only the history of Israel contained in the Hebrew Old Testament prophesies in this manner, as Messiah Yeshua is the Word of God made flesh, and the substance which casts the shadow of the written Word – so that the written Word points to and reveals Him! Natural pictures. A similar tool to history that prophesies, is the tool of natural pictures. Jesus made heavy use of this teaching tool by teaching us many things about spiritual truths using parables. He often began a parable by saying, “The kingdom of heaven is like …” and then proceeded to tell a story about seeds, crops, harvests, landowners, fathers and sons, or some other aspect of normal human existence or the natural world with which His audience was well aware. That picture in the natural world was meant to teach us something about the spiritual world or God or the kingdom of heaven that we might not otherwise understand. Prophecy and the prophetic Scriptures also often employ this tool. Types. 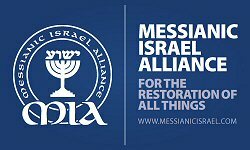 In particular the Torah (since the purpose of Torah was to write about Messiah, Joh 5:46), but also in the Old Testament, we find, not only historical events that prophesy of Messiah, but persons whose life strangely contain amazing elements that mirror Messiah’s life and ministry. We say that Isaac is a type of Messiah, since he was bound to be sacrificed by His father Abraham, but then he was restored to life, miraculously. This event in Isaac’s life strangely coincides with the same event in Messiah’s life. Isaac is not the only type of Messiah in Torah or the Old Testament; and in fact, the Old Testament contains types of antichrist also. Signs of Messiah. God has placed signs, markers, identifying guideposts in His Word to help us recognize when a person or passage is prophetic of Messiah. These signs of Messiah are consistently used, especially throughout Torah. The first is the number three. Threes appear with overwhelming frequency in passages which prophesy of Messiah in some way, shape, or form, as we will see. Another sign is the theme of resurrection life: someone’s death seems certain or is certain, but miraculously, they escape death or are restored to life. There are others. Common themes. This is one of the most powerful teaching tools God has placed in Scripture. When multiple passages reveal the same theme or topic, even if they seem dissimilar at first glance, a comparison of those passages often reveals amazing insight, instruction, and wisdom. One simple example is the theme of the tree of life. This tree appears overtly in Gen 2:9, Gen 3:22-24, Rev 2:7, and Rev 22. But also the tree of life appears, perhaps not so covertly, in Psa 1. It is not mentioned by name, but it becomes clear upon consideration of the passage in its entirety, that its theme or topic is a life- giving tree – a tree of life. Comparison, then, of Gen 2:9, Gen 3:22-24, Psa 1, Rev 2:7, and Rev 22 (and any other passages in which the theme is the tree of life) will be instructive. PaRDeS. This is an acronym for “pashat, remez, drash, sod,” the four levels of Scriptural interpretation. P or pashat (“simple”) refers to the plain or direct meaning of the text; R or remez (“hint”) refers to the implied meaning of the text; D or drash (“search”) refers to the allegorical, typological, or thematic meaning of the text, not readily apparent from its direct or pashat meaning; and S or sod (“hidden”) refers to the hidden meaning of the text, usually only understood through knowledge of Hebrew or by revelation. The foundational rule in applying this teaching tool, is that none of the higher levels of interpretation, to be correct, can ever violate or contradict the pashat or direct meaning of the text. The idea is that all the passages of Scripture can be understood at each of these four levels, so at any one time there will be four interpretations of the same text. The four gospel writers expounded Jesus this way. Mark is the pashat gospel; he described Jesus in the most simple and direct way. When you read Mark, you learn what happened: what Jesus said and did. Luke is the remez gospel; he described Jesus in a “narrative of those things which have been fulfilled among us” (Luk 1:1); he applies what Jesus said and did to the prophecies concerning the Messiah. Matthew is the drash gospel; he constructed his gospel, not chronologically, as Luke did, but thematically, and then related those themes to their Torah and Old Testament counterparts. This is not readily apparent on the surface reading of Matthew, just as the drash meaning of the text is not readily apparent on the surface reading of the text; but as someone begins to learn the Hebraic structure of Torah and the Old Testament, and its major themes and how they are presented, you find that Matthew parallels that structure and those themes. John is the sod gospel; this is why his gospel is so drastically different from the other gospels. He presents the hidden or revealed Jesus. John’s gospel is the home of all the major “I AM” statements concerning Jesus: I am the light of the world, the door of the sheep, the way, the truth, and the life; the resurrection and the life, and the bread from heaven. John’s Jesus can only be known through the revelation of the Spirit. God is leading me along these paths for the study of His Word. I have been praying earnestly for some time now to show me the “Law that David loved.” David knew God so well–just from studying His law–and I asked God to show me how to understand Him through His law the way David was able to. In any case, I have been reading your Bible study here, as God leads. God just brought me through “the valley of the shadow of death” the past several months with life-threatening illness, and He taught me quite a bit through that experience as well–realizing David learned many things, too, from the trials he was led through. In any case, if I wanted to get a copy of the Word that would show me the paragraph divisions, what would I get, and where? Do you have a recommendation? Also, I have a longing to learn Hebrew. 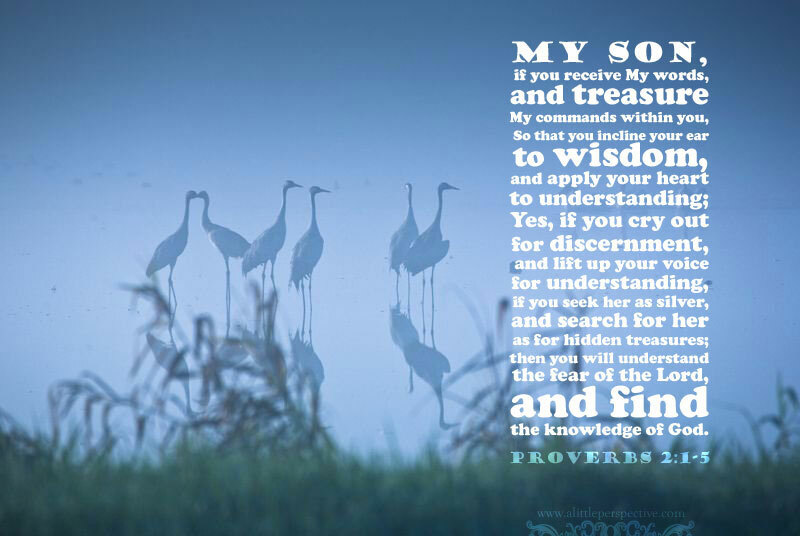 Would you counsel that is a wise thing to do? I so appreciate your ministry here and your faithfulness to Him. God has used you to answer some of my prayers–to confirm and encourage. I pray for His blessing upon you and your family. Hello Camilla, I have a Chumash for the Torah paragraph divisions. It can be difficult to use as it is in Hebrew and I am still learning Hebrew. (Yes by all means, learn Hebrew! That is a very wise decision!) The Hebrew Bible in English has the paragraph divisions posted for every book of the Old Testament: http://www.mechon-mamre.org/e/et/et0.htm God bless you in your study, the Torah of God is truly a treasure chest full of gold, silver, and precious stones.